On my way to VO Atlanta last week - a very large and loud voice-over conference, where I was sure to mingle with some cross-continental germs and be tempted to stay up later than usual - what was in the forefront of my mind as I got ready to get even busier? Sleep is one of the most important factors in anyone's success as a voice talent, as a business owner, and as a busy parent. I sleep for success. 8-1/2 hours. While a good night's rest may be obvious for productivity and health in general, as a person who works with her voice, it's absolutely key. If you're exhausted, there is nothing that replaces sleep in order to speak with an even, consistent tone. 1. Sleep routine. Go to bed at the same time every night. Yup, 7 nights a week! 2. Clear your mind with fresh air, exercise and yoga. 3. Journal. I'm a big believer in writing out all your thoughts to leave them on the page. 4. Use guided meditation. This is awesome stuff. 5. Avoid sugar and caffeine before bed. 7. Get rid of light in your sleeping environment, LED and otherwise. 8. Keep the room temperature cool to comfortable. 9. Do not use electronics up to one hour before bed. Just sayin'. 10. More sleep routine. Wake up at the same time EVERY morning. 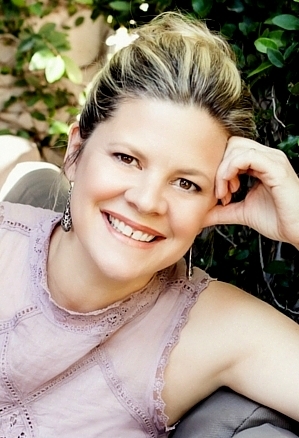 A broadcast and non-broadcast voice talent, Natasha Marchewka has recorded 10,000+ commercials and voice over projects over the span of 11 years, and has grown her business exponentially through referrals from happy clients throughout North America and around the globe. Her clients range from World Vision to major brands like Electrolux, and from local businesses to international organizations. After a Bachelor's degree in Radio Television Arts, several years of singing in New York, and many jobs paying her dues, Natasha started her business with a six month-old in the background. As an at-home entrepreneur, she has also moved to three different countries within 10 years with two kids, two pets, and a husband in tow. She practices Yoga to quieten the crazy. 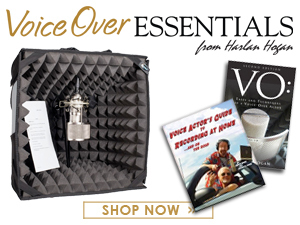 Also highly organized, she also offers the Master VO TO DO LIST course, which helps sort out the priorities of all that's necessary to achieve success in voice-overs (see link below). 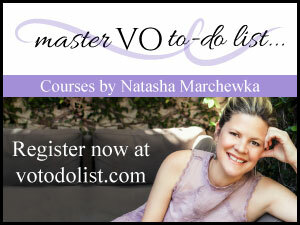 Hey Natasha - A great list of spot-on sleep tips. To add, the last snack no less than three hours before bed and beverages, no less than two. And if you must read before bed, a traditional book works well. Thanks for this, Natasha! I often feel like a "party-pooper" at voice acting conferences, because I also make sleep a priority like this. Getting enough sleep on a regular basis is a deceptively simple way to support a rewarding life. It is so, so helpful!